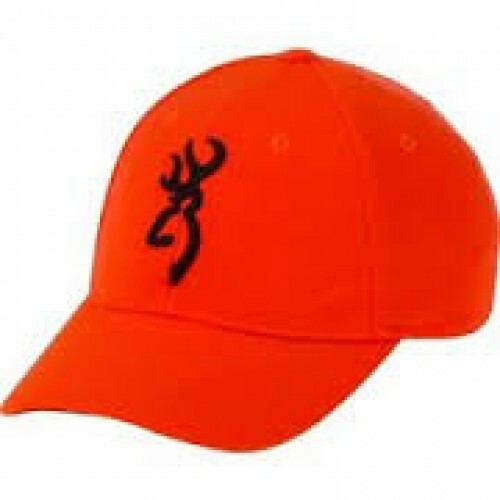 The Browning 3D Buckmark blaze orange hunting safety hat features rugged twill fabric construction using a hunter safety blaze orange color on both the cap and brim. A black 3D Browning Buckmark is embroidered on the front. This Browning hat has a velcro rear adjustment so one size fits all adults.